It is what African leaders do now and daily which will determine the place of Africa in the next fifty years. Africa has already waited for fifty years for present African leaders to implement the foundational principles that the pioneers of Africa’s independence struggle laid down on 25 May 1963. If Africa has to wait for another 50 years to achieve her goal of economic development and technological advancement, and rescue her people out of poverty, ignorance, enslaving “foreign aid” and its deepening debts, it is a sign that many present African leaders are subtly opposed to the Pan African vision and mission for which the African Union and its predecessor, the Organisation of African Unity were formed. They are hunting with the dogs but running with the rabbit, and making sure the rabbit is not caught. A genuinely liberated Africa will not come from heaven like manna. Like Africa’s political independence struggle, it will come through the sweat and blood of its own sons and daughters led by wise, dedicated and committed Pan Africanist leaders. 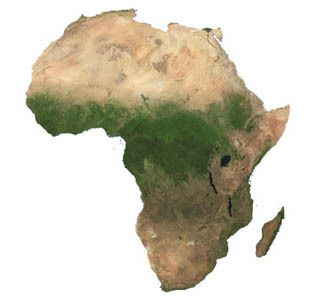 Fifty years for Africa from now will be reaping time. Now is the sowing time. If African leaders are sowing nothing now, there will be nothing to reap in 2063. The African Union seems to be failing to implement ideas that were long put forward by the pioneers of African unity in 1963 and beyond. These ideas are the foundation for a strong Africa that can control its riches for its own people and effectively defend all the interests of Africa. The process of liberating Africa is like building a house with an agreed plan. This house must be built in stages. Those stages must show that the house is being constructed according to the designed building plan. In this context, at what stage is Africa? Why must it take 50 years to rescue Africa from economic powerlessness in the midst of so much technology? Former colonial powers and their allies are afraid of a strong Africa that controls its resources and is advancing technologically. When they gave in to Africa’s political liberation, they made sure that this liberation was devoid of economic power and also burdened with debts called “foreign aid.” Africa’s economic liberation therefore is not going to be a dinner party. Zimbabwe is an example of how deeply the former colonial forces and their allies hate an Africa that they can no longer plunder and loot its riches. Muammar Gaddafi’s Libya is another example. Africa faces internal and external problems. These problems were there during the struggle for political liberation. Africa won her political liberation through African unity. Without the Organisation of African Unity, African people in South Africa would today, be living in the “Bantustans.” The apartheid colonial forces would be today intimidating, the whole of Africa with nuclear weapons. The South African nuclear programme was dismantled only when it was feared that it might be inherited by a radical Pan Africanist Congress government. Without the Organisation of African Unity support, the people of Namibia, Angola, Guinea-Bissau, Mozambique and Zimbabwe might have lost their wars of liberation. The OAU may not have been a finished house, but it was a useful tent that can show important political gains. For instance, the Pan Africanist Congress of Azania (PAC) then led by people like Potlako K. Leballo and David Sibeko got apartheid South Africa expelled from the United Nations General Assembly. This was through the diplomatic support by OAU member states at the United Nations. The expulsion of South Africa resulted in the PAC and the ANC being recognised as liberation movements and granted an Observer status at the United Nations. Indeed, at the independence of Ghana on 6 March 1957, President Kwame Nkrumah dedicated the liberation of Ghana to the whole of Africa. He declared, “Ghana’s independence is meaningless, unless it is linked to the total liberation of Africa.” There were then eight African independent African States to the 54 today. Africa gained her political liberation through African Unity. Africa will not regain her economic liberation and social emancipation of her people without African Unity. If Africa does not sow seeds of economic prosperity, control of her riches, massive education in various spheres of knowledge, she will reap nothing in 2063. People that do not sow seeds, cannot reap because they have nothing to reap. This is the law of nature. Present Africa’s leaders must do an introspection of themselves. They must ask themselves if they are pursuing and protecting the interests of Africa’s people with the same passion, vigilance and wisdom that was shown by Africa’s leaders of the independence movement such as Kwame Nkrumah, Ahmed Sekou Toure, Nnamdi Azikiwe, Obefami Awolowo, Patrice Lumumba, Robert Mangaliso Sobukwe, Gamal Abdel Nasser, Ahmed Ben Bella, Modibo Keita, Julius Nyerere, Haile Selassie and many others? Emperor Haile Selassie mediation act which brought about the Casablanca and Monrovia Groups together to form the OAU must be written in golden letters in the history of Africa. What would have been Africa without the OAU? But today what mediation machinery does the African Union have in situations of political instability and civil wars among its member states? “Prevention is better than cure,” said the wise. Africa must increase her capacity to be self-reliant. Nigeria a sister African nation has presently a problem of Boko Haram terrorism that has resulted in the whole world focussing on nearly 300 school girls that the terrorists have kidnapped. Now, foreign powers with strong economic interests in Africa and in Nigeria itself have offered assistance to find these girls. How many strings are attached to this assistance? The pioneers of Africa’s independence often said, “We accept aid from all people of goodwill. But we shall not accept any assistance that has strings attached to it and compromises Africa’s interests.” It is hoped that foreign powers such as France, Britain and America will not attach strings to this purely humanitarian effort to find the abducted Nigerian school girls. Moreover, terrorism is now a global problem that affects many nations of the world. Its causes, however must be established so that the appropriate remedy can be found. President “Mwalimu” Julius Nyerere of Tanzania appealed for urgent Africa’s action. “There is no time to waste,” he said. “We must unite or perish. Political independence is only a prelude to a new and more involved struggle for the right to conduct our social affairs unhampered by crushing and humiliating control of our affairs.” At present there is more than a snail’s pace on the part of Africa’s leaders. “…the standard of living of the masses of our people will have undoubtedly arisen dramatically,” as Sobukwe envisaged has not happened. Why? Is it corruption by many African leaders? Leadership is service. Servants of the people are men and women who are not for sale and refuse to be bought for any price. They are honest and sound from centre to circumference. They hate corruption. Corruption exacerbates poverty and underdevelopment. It destroys nations. The April 2014 Brussels Conference at which the African Union (AU) and the European Union (EU) met, clearly indicates that Europe still dominates and insults Africa. This is after 50 years of Africa’s independence from European colonial and racist rule. The EU refused to grant visas for some security officials and assistants to countries such as Zimbabwe and Kenya. What would be the reaction of the EU if its member states had been treated in a similar manner? In South Africa many former freedom fighters of the PAC and ANC are still listed as “terrorists” by the United States government and refused visas to enter America. This is in spite of the fact that the United Nations declared apartheid a crime against humanity through its International Convention on the Suppression and Punishment of the Crime of Apartheid. What does the AU say about this? Reciprocity is a principle of diplomacy. Why do African governments allow certain governments to treat their nationals in a manner that is devoid of reciprocity? These matters are determining what Africa will look like in the next fifty years. Africa’s Leaders in the African Union and elsewhere must get their act together. Africans paid a heavy price for their political independence. Africa’s people must be willing to pay even a higher price for their economic power to control the riches of Africa for their people. There must be a minimum fifteen year-prison sentence without the option of a fine and granting of parole for corrupt government officials. Africa’s people must engage with the modern world on the basis of interdependence of nations. They must not present themselves to the world as if they are bankrupt debtors with nothing to put on the world’s table. Africa has enormous riches. There must be massive intra-trade among African countries. There must be a plan to process raw materials in Africa and export them as finished goods. The necessary high technology needed in Africa must be exchanged for high technology from which ever part of the world it comes. African raw materials including minerals must not be sold for cash or goods. They must be exchanged for the technology needs of the African Continent. Those who now have this technology are secretive about it. They are refusing technology transfer to Africa. They want to keep Africa technologically backward so that its people can be a mere nation of consumers, not a nation of manufacturers that export finished goods. Africa’s people must not allow their continent to be merely a source of raw materials and dumping ground of imported goods. There must be huge investment in the education of Africa’s youth. Africa must prioritise and maximise the study of modern science and technology in all her institutions of learning. There must be transport and communication system within Africa. A liberated Africa cannot afford to have its citizens, travel to Africa via Europe or their posted documents within some parts of Africa, to go to Europe first before they reach another African country. For rapid development of Africa, investors and governments must invest in the infrastructure of Africa. There are many things that Africa can do for herself and lessen her dependence on the outside world. Many non-Africans get their riches in Africa. This is one of the main causes of poverty and underdevelopment in Africa. The writer is a historian, political scientist, lawyer and theologian. He is former Representative of the victims of apartheid and colonialism at the United Nations in New York and at the UN Commission On Human Rights in Geneva, as well as a former Member of the South African Parliament. He is author several books, including TOWARDS AFRICA’S AUTHENTIC LIBERATION, THE HIDDEN SIDE OF SOUTH AFRICAN POLITICS and THE TRUE OF HISTORY OF ROBBEN ISLAND MUST BE PRESERVED.